Yesterday Apple released its new iOS 7 beta 4 to developers, but they did not stop there. They also released the new Apple TV 5.4 beta 3 as well; this is not a massive update but rather new fixes and one cool feature. iPhone and iPad users running iOS 7 can now setup the Apple TV after a full restore, or by resetting all settings, please remember that the iPhone 4 and iPad 2 are not supported. There are not any notable changes as of yet within Apple TV 5.4 beta 3, but there are many fixes included in this new seed. The fixes were made to the following: Music playback may skip over tracks when AirPlay is engaged, Attempting to delete a station in iTunes Radio may cause Apple TV to crash, Apple TV may not connect to the Internet on first boot after an iTunes Restore when using Ethernet, Switching between Apple IDs may cause music libraries to fail to load, AirPlay of audio from the Music app may fail to start up properly and When using AirPlay to send music to Apple TV, advancing to the next track may fail. There were previous problems with these as well, but Apple TV 5.4 beta 3 has sorted these issues out: Audio volume may increase dramatically during AirPlay, Audio continues to play while video is fast-forwarding, You may notice these issues when fast-forwarding 3rd party content, Resuming playback after fast-forwarding can result in a temporarily stuck video frame, the Apple TV may become sluggish or unresponsive immediately after signing in to an iTunes Store account and last but not least there were problems with iTunes Match and Purchased music content, which may not have been listed alphabetically, Use Search as an alternative for finding content. The above problems have been addressed with the new Apple TV 5.4 beta 3, if you are a developer and have noticed anything new please do let Phones Review know. 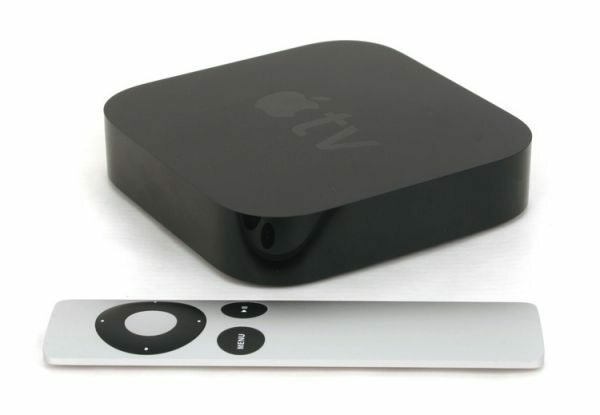 The firmware name is “AppleTV3,1_6.0_11A4435d_Restore”. it jumped from 5.4 to version 6.0. It is going to be now officially a major update.